Vijayawada: Chief Minister and Telugu Desam national president N. Chandrababu Naidu asked party leaders on Thursday to be prepared to participate at the “Dharma Porata Deeksha” which would be organised in New Delhi on February 11 to protest against the BJP-led Centre’s denial of Special Category Status to AP. Speaking to party leaders and cadre at a teleconference here, Mr Naidu said the TD would organise the “Dharma Porata Deeksha” in protest against the Narendra Modi-led Centre’s “hostile attitude towards AP and refusal to honour the Reorganisation Act provisions”. 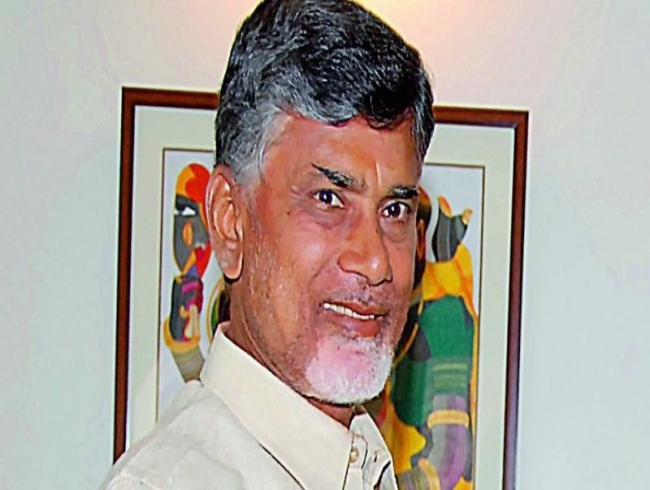 Mr Naidu suggested to TD MPs that they should intensify their struggle to exert pressure on the Centre for granting SCS. “Everyone needs to get ready to get involved in Delhi. Our MPs are intensifying the fight in Parliament,” he said. Mr Naidu asked his MPs to demonstrate their protest by attending the Parliament session wearing black badges on February 1. Meanwhile, TD MP J.C. Diwakar Reddy said there was no use of the Deeksha of Mr Naidu in Delhi and it would not pressurize the NDA government.